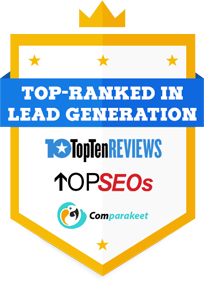 When promoting your business to a specific market segment, you need to be sure that you have sufficient information to help your lead generation efforts. After all, when it comes to looking for new B2B leads, you ought to have the most accurate information as possible, one that can give you an in-depth idea on what you need. To do that, you will need to use big data. A lot of our marketing efforts have become dependent on the availability of pertinent business data. You cannot just conduct an appointment setting campaign without first checking who are the decision-makers of the company, what their problems seem to be, what solution you can offer them, as well as their capacity to make payments. While these questions could be answered during a telemarketing call, it would be better if you could use this data to first identify the potential sales leads that you should be talking to in the first place. In case data management is not your strongest points, you can also opt to work with a business database management agency. Such firms can provide you with a clean and updated calling list with all the details you need for the job. You do not have to spend a lot of time trying to analyze or manage all the big data you have collected. Your business database provider will do it. The only thing you need to do now is to actually use it in your marketing campaign. It will be to your advantage when you do it.